Whether you hire a moving service or try to do everything yourself, moving into a new home can get very expensive very quickly. Even though you’ve already factored things such as a moving van and the security deposit of your new home into your budget, there are other things you might not have considered that can cost you a lot more than you planned. Here are just a few things you should consider that could cost you extra if you’re not careful. If you’re moving into a home that is only about ten minutes away from your current residence, you won’t have that much to worry about when it comes to mileage and renting a moving van. On the other hand, a long-distance move can get surprisingly expensive. Not only will you have to pay more for gas, but it will cost more to hire a moving company to haul your things that far. Things will get even more expensive if you have to move overseas or some other place that will require a plane ticket. 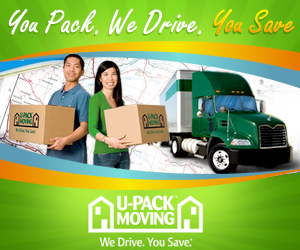 The summer is the busiest season for moving, so it will cost you more to rent a moving van or hire a moving company. There’s also a better chance that you won’t be able to reserve a moving van if you’re relocating during the summer. You might think this will save you some money, but not having a proper vehicle for your move could require additional trips and wasted fuel. Few people can just throw everything they own into the back of a van and drive it to a new home. In most cases, you will need to put things into boxes and secure them, so they don’t slide around in the moving van. Although just about everyone has had to scrounge around for unused boxes at work or ask friends for any containers they don’t need, you will probably have to buy new containers at some point for all of your things. You might not think that will cost very much, but it adds up when you consider that you need to box up all of your clothes, dishes, and other assorted belongings. You will also have to buy things like packing tape, a dolly to haul heavy furniture and various other tools that will help make your move easier. Overall, the average cost of an interstate household move was $4,300 in 2009. While your move might be more or less expensive than that, it’s still important to consider all the unexpected expenses that could come up. As much as you might not want to think about it, it’s always in your best interest to err on the side of caution and budget more money than you think you’ll need when you go to a new home.